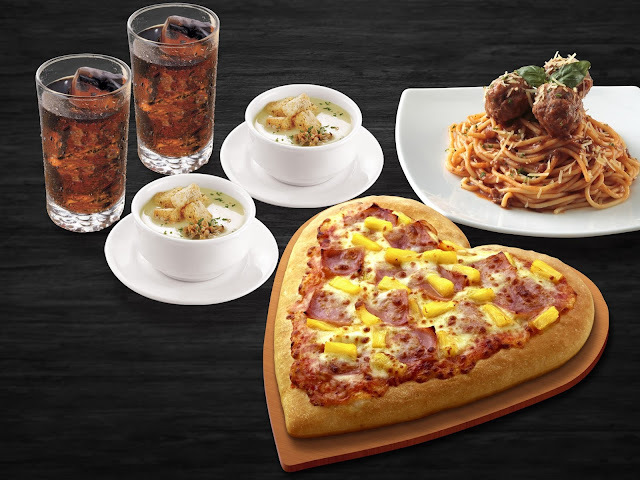 The Food Alphabet and More: The love continues with #PizzaHeartPH offers this February! Meanwhile, you can also treat your sweetheart to a hearty Pizza Heart Feast: Dine in and order a complete meal consisting of 1 Hawaiian Supreme Pan Pizza Heart, 1 Spaghetti with Meatballs, 2 Mushroom soups, and 2 glasses of Pepsi for only P349. 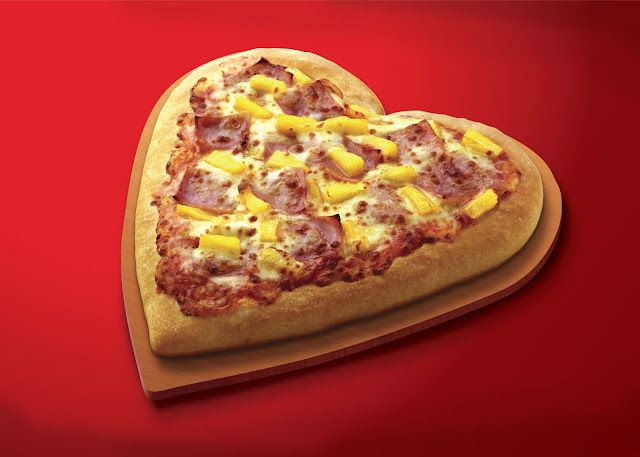 On top of that, you can also treat your loved ones with a Pizza Heart Deal, available for delivery only. 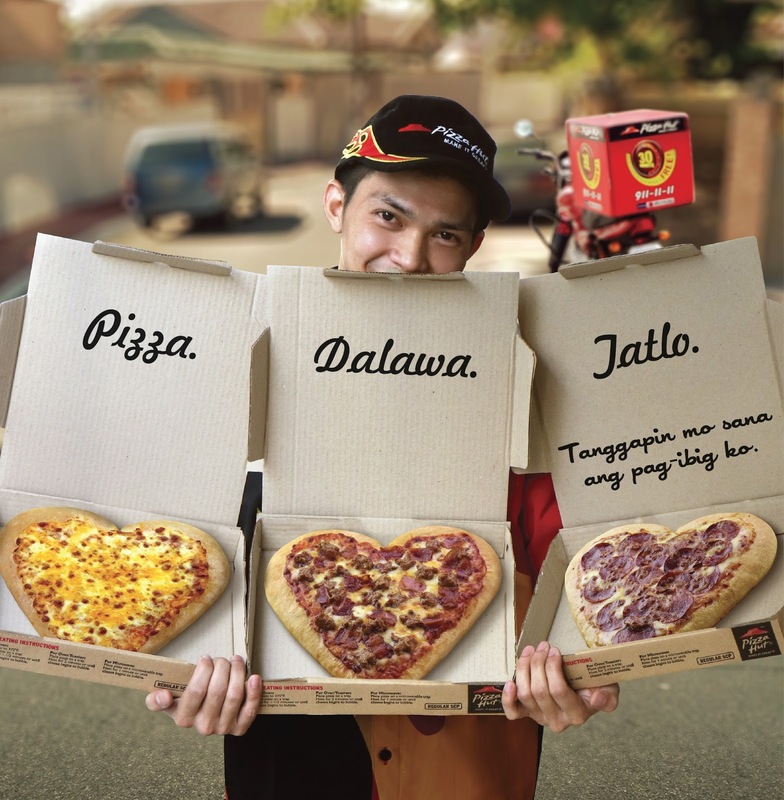 Say “I love you” by ordering 3 heart-shaped Supreme Pan Pizzas for only P499, good for 4-6 persons. This offer is valid until February 29, 2016. For more information about the #PizzaHeartPH promotion or the latest updates about your favorite pizza place, visit www.pizzahut.com.ph or “like” their Facebook page at www.facebook.com/pizzahutphilippines. You can also follow their official Twitter and Instagram handle @PizzaHutPhils, or simply call 911-1111 (Metro Manila) today!